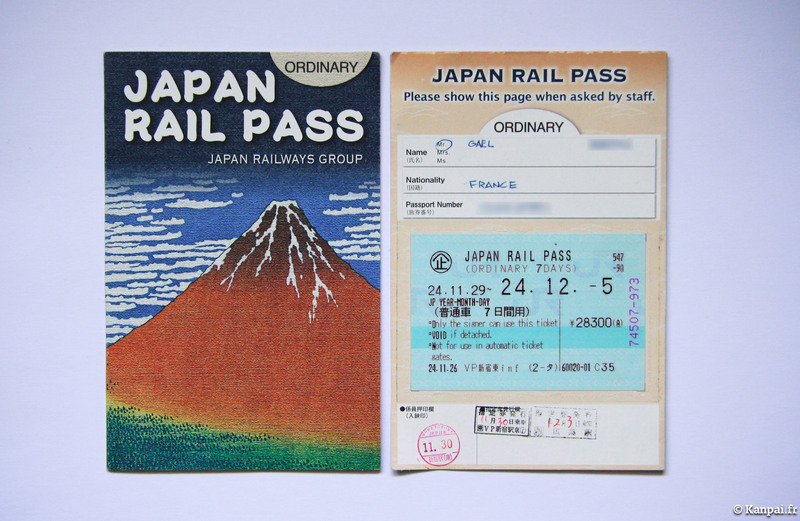 The Japan Rail Pass (aka ‘JRP’) is a transportation ticket which gives its owner full access to Japan Railways’ lines in Japan. The JR Pass allows unlimited use of all trains, buses and ferries of the company during 1, 2 or 3 weeks. The Japanese railway network is highly developed, with an excellent service quality and very punctual, which is why most tourists traveling in Japan are buying a Japan Rail Pass. Given the price of train tickets in Japan, it is very convenient for rail transport between major cities. But the JR Pass is also used on most local transportations, for example on some train lines in Tokyo such as the famous Yamanote. Here are the fares of the Japan Rail Pass, based on the Japanese Yen. 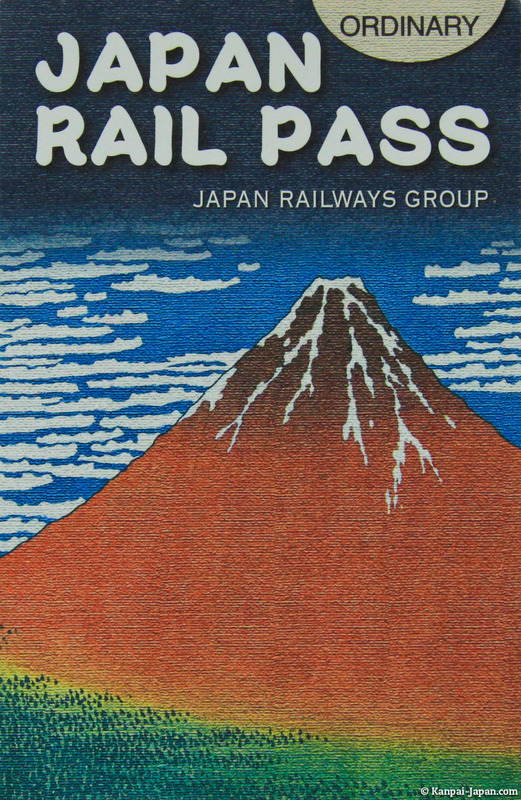 Note that JR Pass prices increased on April 1st 2014, because of the VAT increase in Japan (from 5 to 8%). Certainly, the increase is relatively modest (around US$10 on average) but this is rare enough to deserve to be highlighted. The "Green" type corresponds to a first class, but obviously it is a bit more expensive (prices are about 35% higher). I've been told its interest is quite questionable: quality of service is already excellent in the regular class. Also note that the price of Japan Rail Pass is always given in Japanese Yen, and its cost in American Dollars or other currencies is calculated using the fluctuation of currencies, at the time of purchasing the voucher. Needless to say, in the light of these figures, a pass is often quickly amortized! The voucher is valid for 3 months. Once in Japan, you can exchange it with the Japan Rail Pass in an exchange office located inside a majority of the train stations (here is the list of these stations). You have to show the voucher and your passport stamped with the tourist visa, and fill out a short form. At the time of the exchange, you can request to start the validity of the JRP on the same day or any of the followings up to a month later. The registration date of the JR Pass is according to the Japanese calendar. In Japan, reservation of seats in trains is not compulsory but you can book for free. To do so, go to a JR counter in any train station. These counters are located in offices called “Midori-no-madoguchi”. During vacation times in Japan, such as the ‘Golden Weeks’ (December 28 to January 6, April 27 to May 6) and the ‘Obon’ period (August 11 to 20) it can be difficult to book a seat, because trains are taken over by Japanese people traveling. To enter the station, if necessary, present your JRP to the gate attendant. Inside the train, present your JRP to the controller, possibly with an earlier booked ticket. The Japan Rail Pass is not valid on ‘Nozomi’ trains, which are the fastest, but on every other type of trains, such as ‘Hikari’ and ‘Kodama’. You can also use the pass to ride the monorail that connects Tokyo to Narita airport, or the ferry between Hiroshima and the famous Miyajima island. Japan Railways (JR) is the largest rail network in Japan. It covers more than 12,000 miles (about 20,000 km) of track and serves the four main islands, at a rate of 26,000 departures per day on average. They combine speed (up to 180mph), punctuality and comfort. 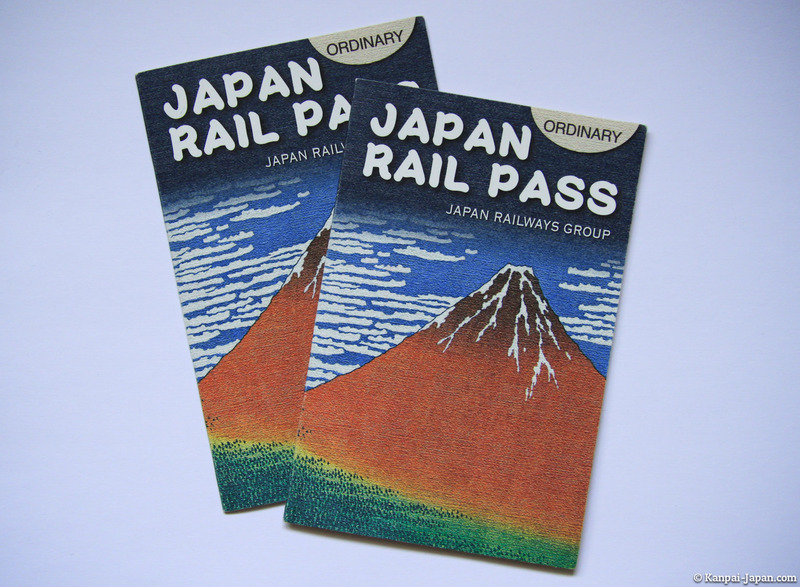 The Japan Rail Pass also offers a 10% reduction in JR group’s hotels.